Do you ever just need a burst of sunny inspiration on a frigid, Tuesday in January? 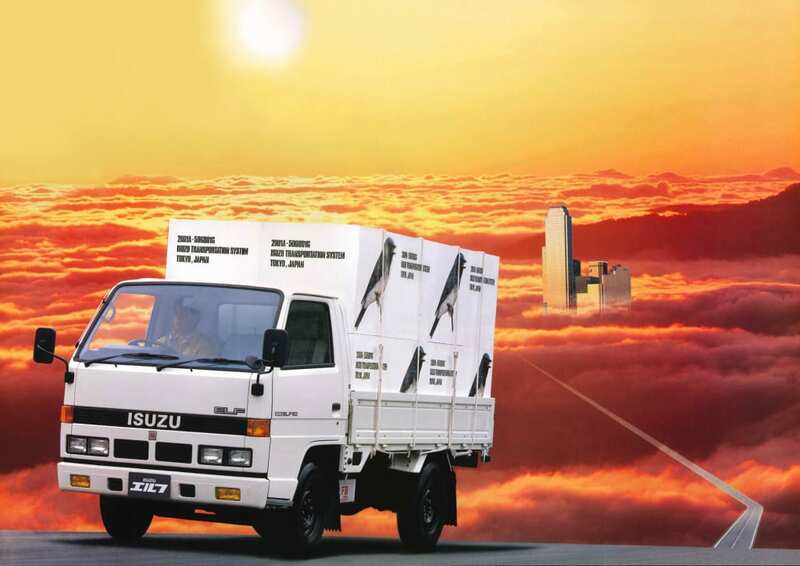 Fear not friends, the 1987 Isuzu Elf 150 has arrived, and it’s brought the entire universe with it. It’s been a hot minute since we’ve done a comical Hooniverse Classic Captions Contest post due to the website sitting in the IT hospital for an extensive redesign (cheers again, Jeff). Let’s pick it up again, literally with this late ’80s utilitarian gem. Sadly the comments from our last Classic Captions Contest featuring Renault’s adorable, goofy ’96 Twingo didn’t carryover into the new Hooniverse.com unveiling, so we’ll start with a brief history lesson, specifically for the fourth generation Elf shown above. For sixty years now, the Elf has been the global godchild of Isuzu, built in nearly every corner of the world from Bogotá, Columbia and Pekan, Malaysia, to Ho Chi Minh City, Vietnam and even Janesville, Wisconsin. Millions of Elves have flooded the world’s streets in minibus, dump, and open-bed configurations, with single or double cabs. Power comes from a slew of small turbocharged four-cylinder diesel-engines, and the Elf could be ordered in 150, 250, and 350 models with Super or Wide body styles. From 1984 until July of 1993, the fourth gen Elf continued to sell around the globe and stepped foot into the United States where it was sold as the GMC Forward, Isuzu L Series, and Chevrolet Tiltmaster. Since everything’s bigger in America, a colossal 8.4-liter diesel found its way under the hood of the Elf beginning in 1986 for a short period of time. Imagine a single cab, open-bed variant with that heavy-duty powertrain. I stumbled across this rad shot of an ’87 Elf on my go-to, online bible for old-school OEM press car images, which I hope hope all of you bookmark…. and I have so many questions about it. Anyways, I’m very tempted to make this the new background on my Dell laptop. What could it possibly be hauling? Is this a highway leading away from Lando Calrissian’s Cloud City in Star Wars? Why are there massive pictures of birds on the boxes plopped up in the Elf’s bed? Maybe you can hypothesize with me, too.